A massive congratulations to Andrew Hall and Robin Spencer who are the first two winners of our Pink Ball Promotion at Canterbury Golf Club! However, there are still lots of great prizes to be won. A little reminder, all you have to do is buy a basket of range balls from Canterbury Driving range and if there is a Pink Srixon golf ball in your basket then you are a winner! After our recent extension of the January Giveaway you know only have until Sunday 7th to find out what lurks in your un-opened envelope. We have only had 1 100% used which means there are still 4 left! With so many envelopes used the odds are only getting better, so don't miss the chance to see what's in your envelope this weekend! Whether it's a chocolate bar or a dozen golf balls or a set of clubs don't miss out on the chance to get up to 100% discount. Our latest winner Peggy Ferrett received 25% off her purchase, isn't it time you found out what's in your envelope…. In the winter there are several aspects of golf that are vital, these include re-gripping and re-spiking. As part of our winter MOT deal which include FREE CUSTOM FITTING you can get a great deal on re-spiking your shoes and re-gripping your irons. New PING iron range for 2016, we now have the PING I, G, GMax and S55 irons in store for you to try! Not only this we currently have the new Callaway XR16 wood range, as well as the XR OS irons. 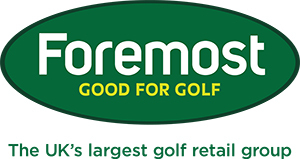 So if you're looking for great forgiveness or maximum distance book in for your free fitting now!